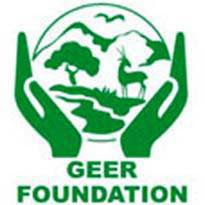 The Foundation has been registered as a Society under the Indian Societies Registration Act, 1860, and as a Public Trust under the Bombay Public Trust Act of 1950.Gujarat Ecological Education and Research (GEER) Foundation is an autonomous body, set up in 1982 by the Forests & Environment Department, Government of Gujarat. The Foundation is governed by a Board of Governors chaired by the Hon'ble Chief Minister of Gujarat. All the above posts are on contractual basis, the contract period shall be renewed after 11 months up to the project duration based on the performance. The contract can be extended beyond the project duration, subject to the sanction of new projects. 2. Round off %age will not be acceptable under any circumstances for consideration to the aforesaid posts. The fraction of percentage so arrived will be ignored i.e. 59.99% will be treated as less than 60%. The number of vacancies is tentative and may increase or decrease. The level of educational qualifications prescribed for the posts is minimum. Candidate must possess above qualifications/ work experience as on 31.12.2016.